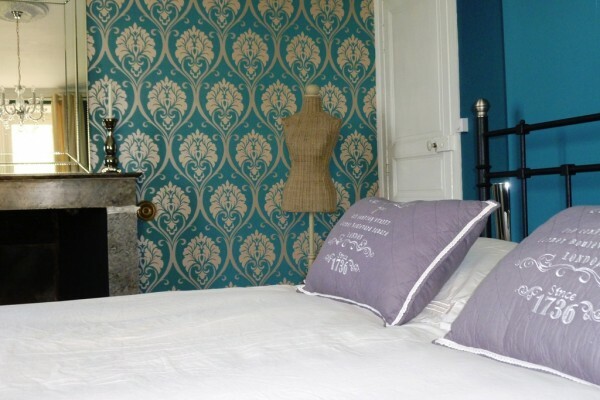 Château La Mothaye offers a charming and luxurious bed and breakfast in the Loire valley. Located between Angers and Saumur (only five minutes drive from the A85 motorway) and therefore an ideal stopover for an overnight stay or a holiday in the beautiful Loire region. La Mothaye has undergone recent renovation and modernisation although we have strived to maintain the original character and grandeur of the chateau. The luxury accommodation has features such as paneled walls and open fireplaces. In your room you will feel the charm and character of the past, but the interior has the luxury and comfort of today. All four (family) rooms have private bathrooms. Set in 36 ha (90 acres) of parkland, field and forest, La Mothaye guards the intimacy of its guests. 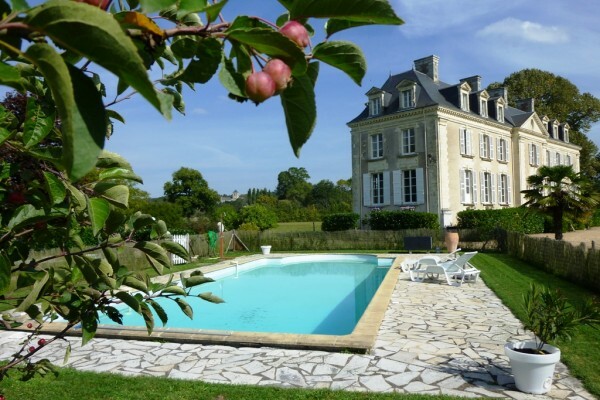 The swimming pool (12x6m) is situated next to the chateau. The unique combination of facilities including countryside, village views and swimming pool are all ingredients for the perfect holiday or retreat. We have four beautifully decorated bedrooms for our guests. All rooms have a double bed, ensuite facilities, hairdryer, tea/coffee facilities, towels, access to WiFi, and TV with DVD. 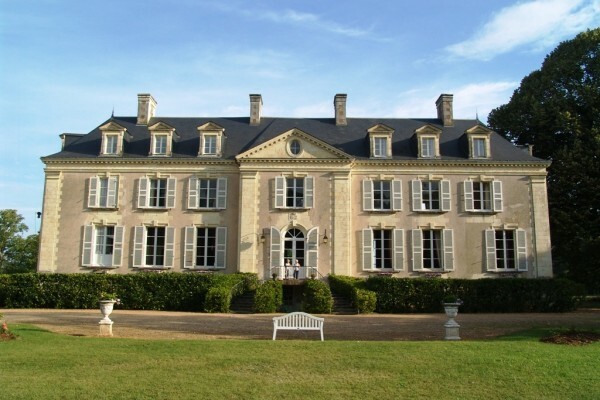 Chateau La Mothaye is open in 2013 open from the months mid June for B&B / chambre d’hotes. In the other months only on special request and subject to availability. Please email us for availability and final quotes for your stay. If you have any questions or special needs for your stay, feel free to contact us for example per email. Double bed, 2 persons, single bed in room, ensuite room with 2 single beds, kitchen, bathroom with shower (max 5p). Only bookings per week, no breakfest included. Breakfast is included in the prices above (except for Calville d'août). Towels are provided, sheets and rooms are cleaned at least every 4 days (chambre Calville 1x per week). By single use of a room € 10,- discount applies to the prices above. Pets are unfortunately not allowed and we have a non-smoking policy. Crib (max. 2 yrs) is available at request (€ 10 per booking). Payments only cash or by bank transfer, no credit cards accepted. Reservation is final when the deposit is received. Cancellation less than 2 months in advance of your stay is limited possible, see our terms and conditions for details. Check in from 16.00 hrs, check out till 11.00 hrs. High season is July and August and regular holidays. Minimum stay = 2 nights. For single night stay there is a 25% extra charge to the prices above. For a reservation please contact us. Sorry, no animals and pets please. Did you stay in Château La Mothaye? Let us know what you thought about it and help others to make the right choice! * I confirm having stayed in Château La Mothaye. Find other bed & breakfasts in Brión or all bed & breakfasts in Pays de la Loire.